This one is the traditional Rail Fence block. The example block for the month was put together in a different arrangement but I like this one. 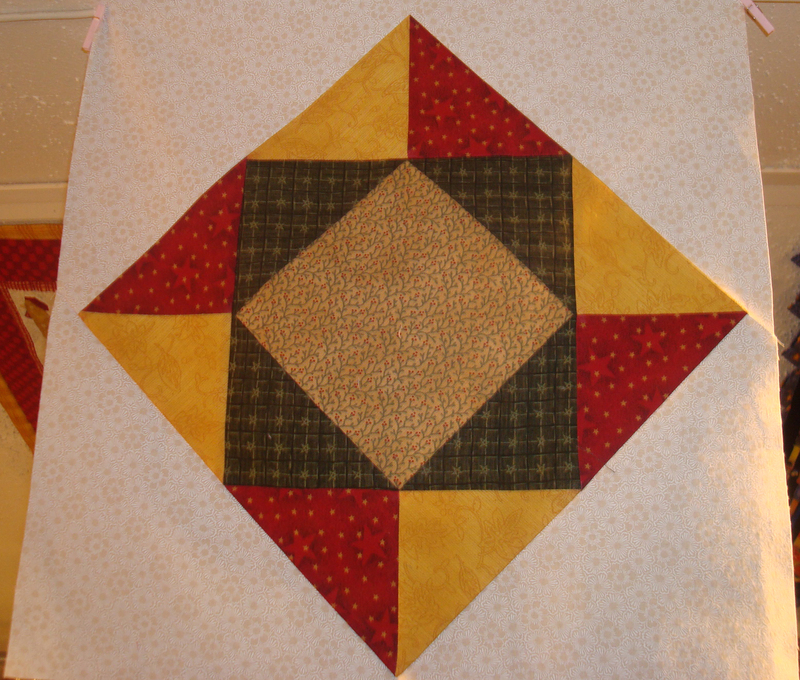 The craftsy block assignment for the month was called the economy block. It measures a whooping 18 1/4 inches but we are suppose to trim it down to 17 1/2 inches which I have not done yet. I love how the colors are looking in this one. I am really finding lately that it all comes down to fabric choices. They can certainly make or break a block. Be sure to stop back by soon. I will be hosting a giveaway in the Beat the Winter Blues Blog Hop Party hosted by Michele from the Quilting Gallery. I for one am very ready for Spring. Winter is so dreary and I can't think of a better way to pass the few days left of it than with a Blog Hop!!! 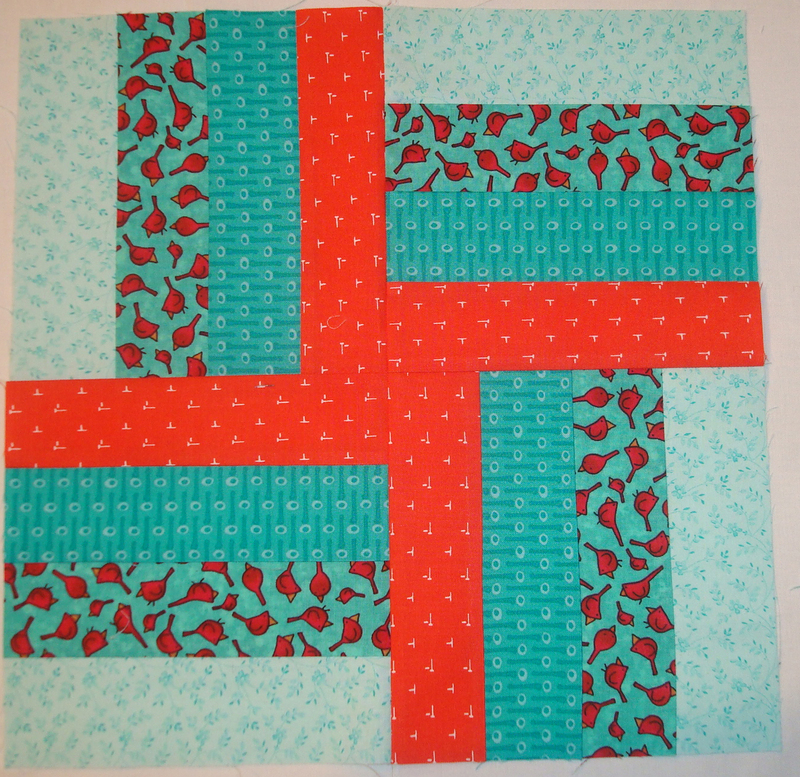 Very pretty block! I hope that you have fun following along!